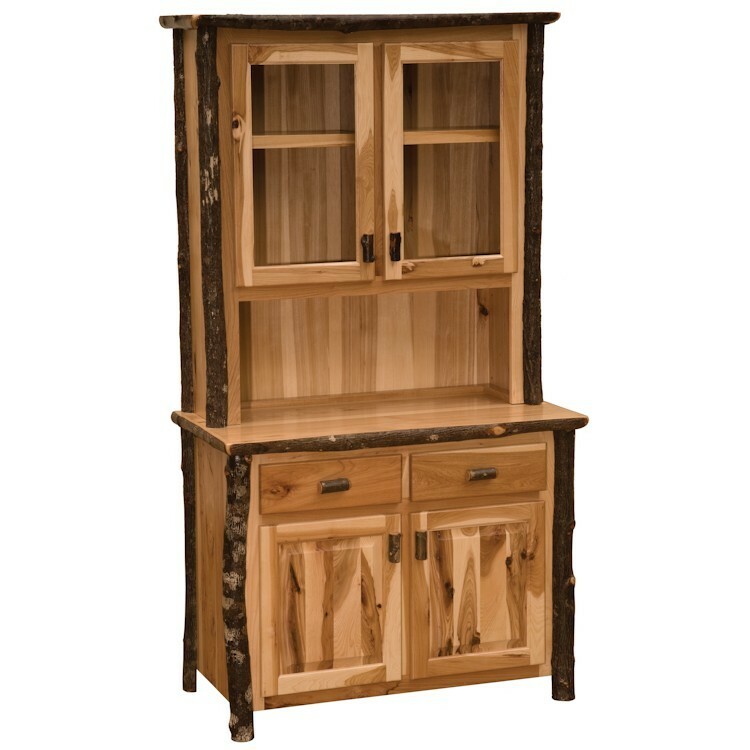 This rustic Hickory Buffet & Hutch-48 Inch will provide added storage space and a decorative touch to your rustic kitchen or dining room. 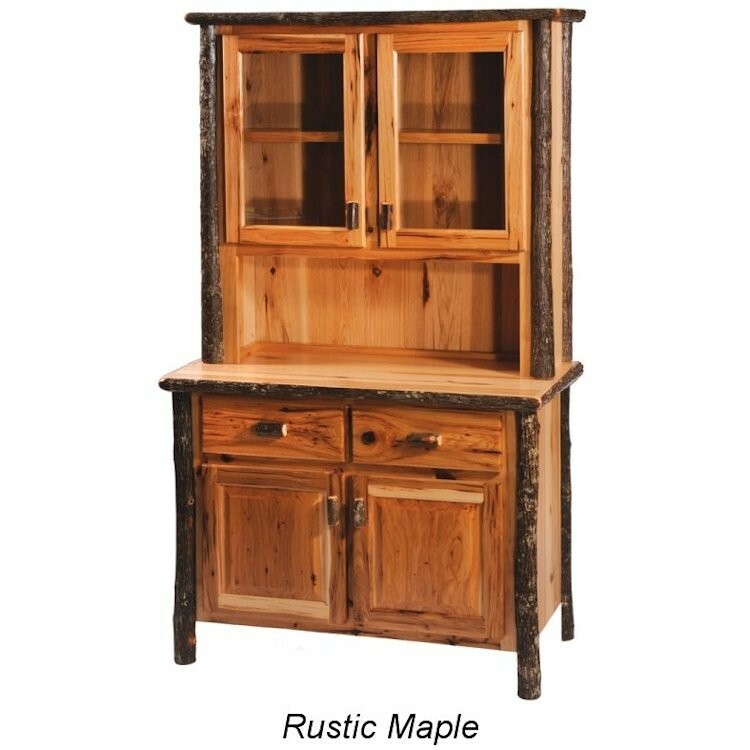 This rustic Hickory Buffet & Hutch-48 Inch will provide added storage space and a decorative touch to your rustic kitchen or dining room. 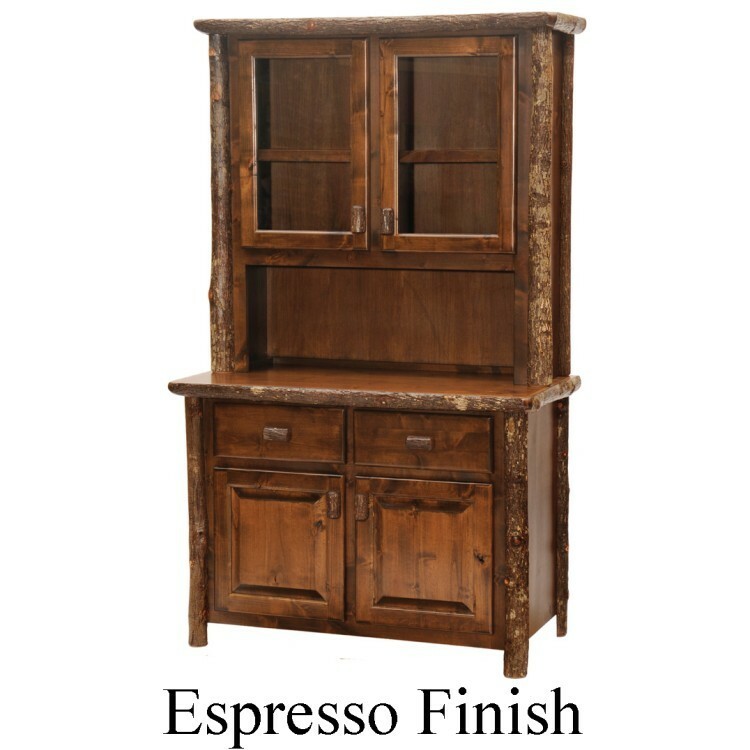 This hickory buffet and hutch are each individually hand crafted and finished with a clear coat catalyzed lacquer. 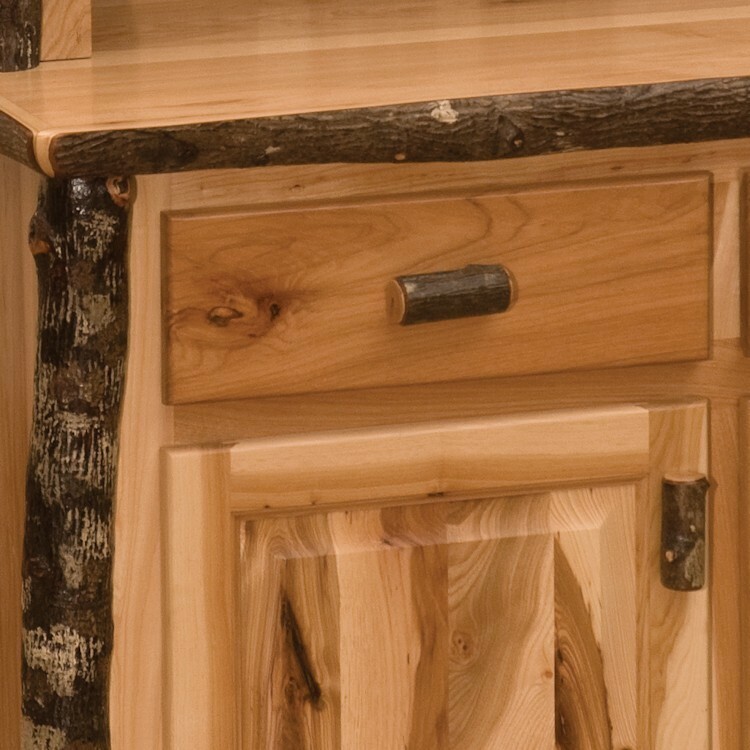 It features glass doors on upper unit, dovetailed hickory drawers are .5" overlay with full-extension ball-bearing glides rated at 100 pounds. 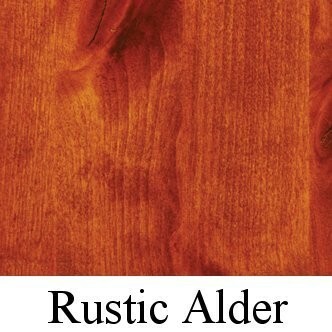 All hinges are concealed European Style for a clean uncluttered look. 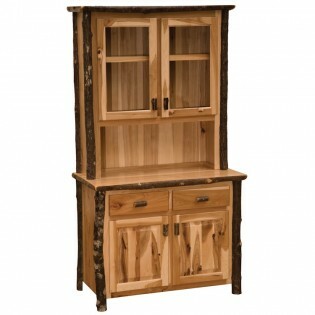 This rustic hickory hutch measures 48" W x 24" D x 85" H.